Shoulders are vital body parts that we use A LOT in CrossFit. "NO WAY I HAD NO IDEA" said in a sarcastic tone by almost every one of you reading this blog. However, that phrase, that shoulders are a vital body parts used a lot in CrossFit, needs to be hammer into everyones mind so that we know how necessary it is to take the proper care that the shoulders need to stay healthy. That way we can keep using then in our WODs and strength exercises. The shoulders are made up of many small muscles (relative to the big leg movers) attached to various body tissues. I won't go super nerd on you so ill keep it to that. The shoulders experience fatigue faster and once you they redline it takes a while for them to come back. They also take a longer time to strengthen and need constant work to maintain when compared to most other parts of our body. On top of that, when they get tight, pulled, strained, or injured in anyway, they tend to affect more than just one area. Making our talk spread out to the muscles, again smaller in relation to the leg movers, that make up our upper body. Headaches? Lower/Upper arm pain? Upper back pain? Nerve pinching? Loss of sensation throughout the upper limbs? All could be possibly linked to injuries/strains involving muscles within the upper back. Now after hopefully scaring you just enough to have your full attention, I will give you a few tips to help keep shoulders healthy. 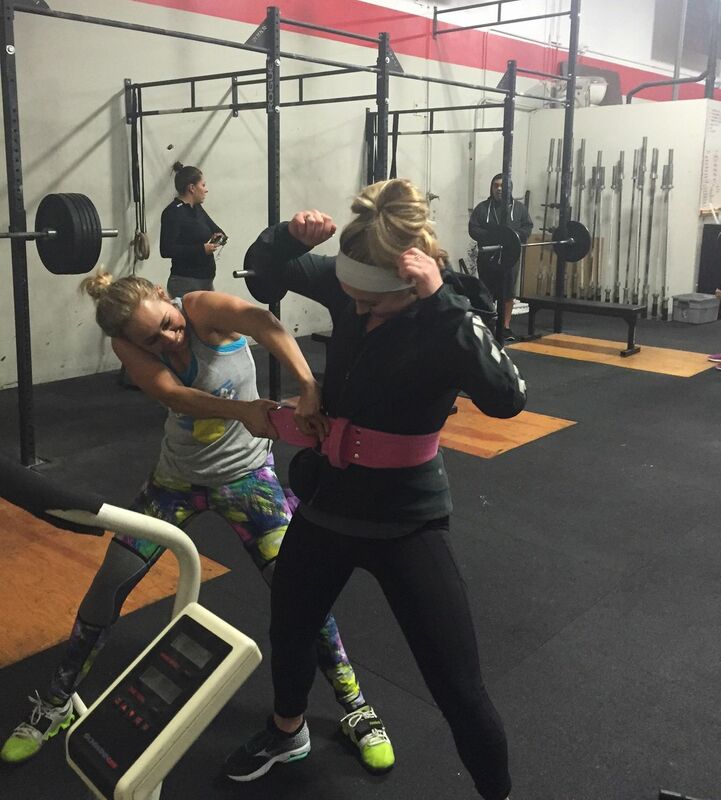 If you click here you will find a video put on by NorCal CrossFit and Platinum Chiropractic. They give you five different moves to keep your shoulders healthy. The movements demonstrated are many of my favorite go to mobility fixes convinently put on video so that you guys know exactly how it looks and how to do them. [Sometimes explaining through a blog raises confusion when you go to apply it in the gym]. Working on that shoulder strength post front squat PR (for Joey- yes the one not wearing the belt got the pr)!